Ruffle Snuffle was founded by me, Sarah White. I took a change in direction in my career a few years ago and decided to train as an animal behaviourist. I started Ruffle Snuffle in January 2016 as I was making enrichment toys to support my new career. It's been so successful that I now have two staff and have never seen so much fleece in all my life! We worked out that we've used enough fleece to cover 33 football pitches. That's a lot of fleece! I'm really proud to have been crowned #QueenOf Snuffle Rugs and my award will sit proudly next to my Theo Paphitis SBS award I won recently too! Life is good. 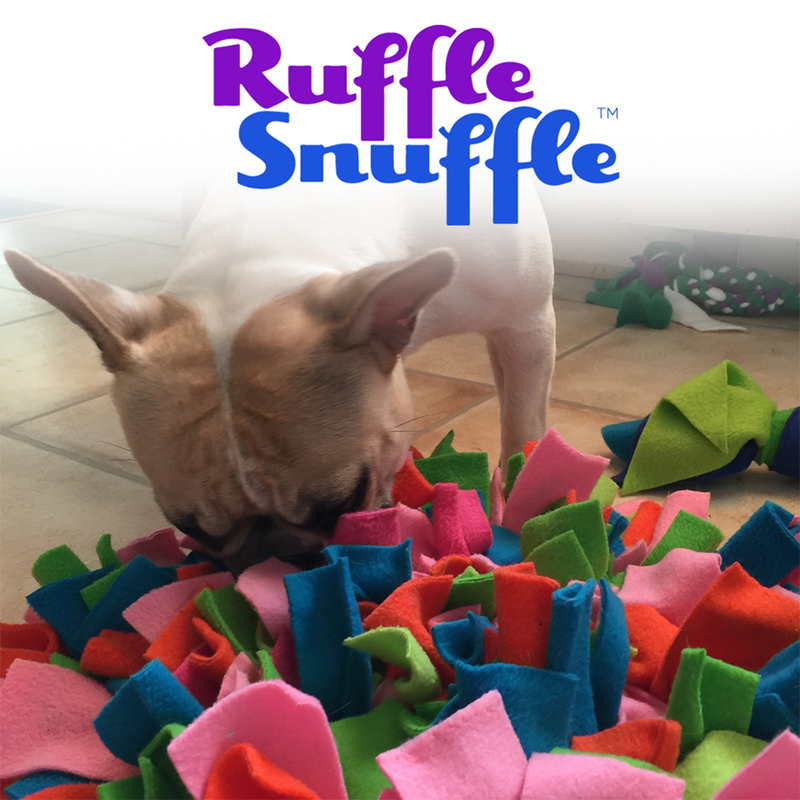 What is a Ruffle Snuffle® ? Animals love to snuffle for food and treats and the Ruffle Snuffle® rug has lots of soft fleecy folds which are perfect for noses of all shapes and sizes. The hunt for food provides excellent mental stimulation as well as giving you a chance to play ‘hide and seek the treat’ with your dog, cat, guinea pig, rabbit or horse. A Ruffle Snuffle® rug is perfect for slowing down fast eaters. Just sprinkle their dried food on to the rug and ruffle it into the fabric. Your pet will love searching for their dinner! (They can hold up to 400g of dried food). Ruffle Snuffle® is ideal for pets on cage or box rest after an illness or injury by providing enrichment in their confined space. The Ruffle Snuffle® rug is made from high quality super luxury fleece and heavy duty recycled rubber matting. It comes with its own cotton travel bag, that also doubles as a toy or treat bag. Long lasting, high quality and portable the Ruffle Snuffle® mat can be washed at up to 30 degrees to keep it fresh and slobber free.